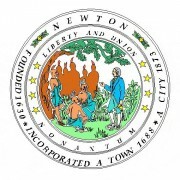 The next monthly update meeting with the Newtonville Area Council is on Thursday, April 11, 2019 at 6:30PM in City Hall Room 211. The meeting will include an update re: SITE ACCESS and CIRCULATION. A meeting flyer is posted under the “Meeting Agendas” tab. It is expected that Saturday work will continue for the next few months. Work will be performed within the job site limits and will begin at 7:00AM. A copy of the notification letter can be found under the “Construction Notifications” tab. WT Rich provided an update of the construction progress. Exterior overview/update: Windows, curtainwall and metal panel installation is ongoing in the 1929 building as well as the building additions. Interior finish work is ongoing throughout the renovation portion and the new addition, progressing from the 3rd floor down. Finish activities include prime and paint, linoleum floor tile, ceramic wall tile, acoustical ceiling tile and epoxy flooring in toilet rooms. The first millwork delivery is scheduled for this week. Elevator installation is ongoing and is almost complete. MEP activities are ongoing throughout including chilled beam installation which is close to being complete at floors 2 and 3 as well as mechanical equipment which has been installed on the library roof. In the kitchen, all equipment has been installed, as well as flooring and wall finishes. As always, for general project inquiries, please contact: Alex Valcarce, City of Newton Project Manager at (617) 796-1600.